Are You Marketing Your Product Backstory? 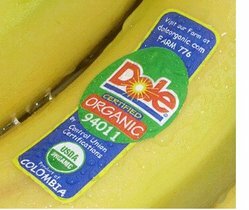 Several weeks ago, I noted an interesting story about how Dole is offering "farm codes" printed onto stickers that are placed on organic bananas offering consumers the chance to get to know more about the farm that grew the banana by visiting www.doleorganic.com. On Dole Organic, you can see such information as a description of the banana plantation, photos of workers, and Google Earth images. 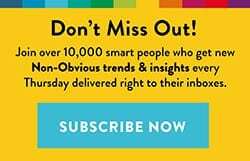 Despite the site’s average design and limited functionality (no ability for users to interact with the content or add their voice) – the effort represents a great example of new thinking that product marketers are using to capitalize on the global trend towards ethical consumerism. 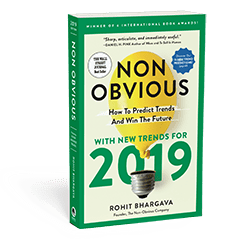 As more and more attention is being paid to the manufacturing or acquisition process for products, as well as the carbon footprint behind these processes, offering insight into the backstory for how your product is made is becoming more and more necessary. Certification programs like Dole’s Farm Code effort, or the international movement to create a certification for conflict-free diamonds are just two examples. Soon, the "Made in Tiawan" stickers so often seen and ridiculed through the 80s and 90s may be replaced by reports on the factory, images from the floors, and interviews with the workers. Social responsibility and ethical consumerism is not just about buying green products, but also understanding the process that they are created with and choosing based on this information. Yet product backstories have more potential than just offering environmental or societal impact assessments for products. Backstories are a cultural trend. More and more films are taking a different approach to the traditional beginning to end timetable for telling a story. Lost is perhaps the best example of the rise of the backstory, as the hit television show has used the engaging format of weaving a backstory of one of the show’s characters into each episode to allow viewers to learn more about each character. The backstories fill in the details and deepen the emotional connection of a viewer, or a consumer. You might say it’s a stretch to say we will care more about our bananas after having seen images from the farm … but on some level, it has an impact. 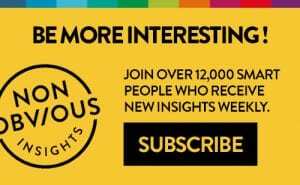 Having worked with BuzzAgent (a word of mouth marketing company) on a number of campaigns, I know that when it comes to WOM, the backstory is particularly important. Knowing more about a product or company’s origins make you more likely to tell others about it. In many cases, the backstory becomes the marketing story. Most marketing today focuses on product attributes and uses or creating a need for consumers to purchase. What if more of our efforts focused on a product’s backstory? At least one marketer is betting that’s the way to sell a whole lot more bananas.